Insofar Combined Tournament is one of the chess tournaments held last weekend. GiLoCatur and the kids did not take part in this tournament. Below is the winners of the tournament sent by Najib Wahab who was the arbiter. 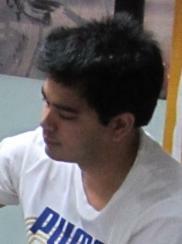 Dr Zaidan (the above picture) emerged as the champion after collecting 6.5/7 points. Congratulation to all the winners. 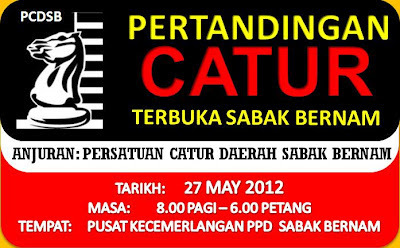 KUALA LUMPUR, Thursday 10th May 2012. The 2012 MSSWP Chess Championship for the secondary school is entering its final stage. Today, three more rounds held making it total six rounds completed. The final seventh round will be played on the third day of the Individual event. So, who are the leaders after Round 6? Can they continue to win their final round to become the champions? 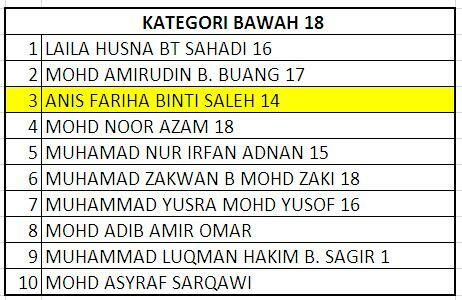 In the L15 category, Faizal Roslan is the sole leader with 5.5/6 points. In the final round, his win over Tan Soon Wei at the top board will ensure him as the champion. The results of the top five boards will decide who are going to be on the podium. In the L18 category, Yeap Eng Chiam is the sole leader also with 5.5/6 points like Faizal. Eng Chiam will surely emerge as the champion if he wins over his opponent, Tan Jun Feng. Wong Jianwen who is ranked second with 5/6 points is paired with Albert Ang Keliang who is ranked third and the highest 4.5 pointer at table no 2. Fikri Saleh is playing white at table no 3 against Shawn Edgar Miranda. Both are also 4.5 pointers. 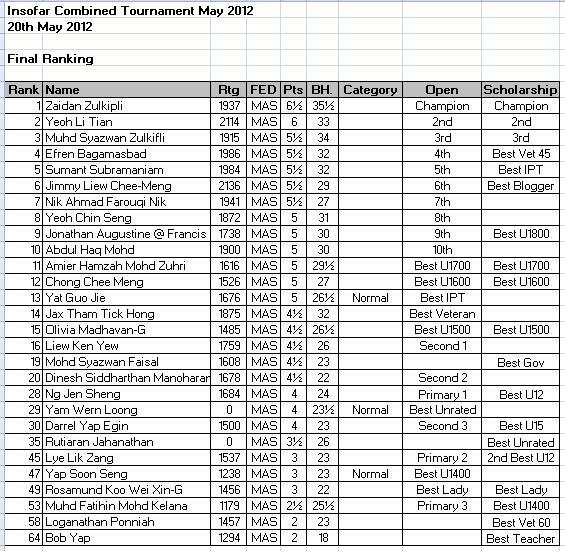 Other two 4.5 pointers are Chong Yan Meng and Gabriel Soong Mun Hey. They face each other at table no 4. What would be their match up results? Stay tune to find out. Camelia Johari is the sole leader in the P15 section. She has 5.5/6 points. Four others are trailing half point. She will be declared as the champion provided that she wins over her opponent, Chua Yee Ler. At table no 2, Tan Li Ting is challenged by Natasha Kavina. Another 5/6 pointer, Siti Nadia Qarmila will play white against her opponent at table no 3. Can Yee Ler deny Camelia to be the champion? The answer will be known after the final round completes. It is quite interesting in the P18 category. GiLoCatur was wrong in the prediction that Pavitranayagi would have full points.She shares 5.5/6 points with Eunice Quah Yoo Li but has better tie break. Both of them will face each other at the top board in the final round to decide who will become the champion. It will be a 5-pointer battle at table no 2 between Low Pei Zhen and Zulaikha Noor Azam. Meanwhile, table no 3 and no 4 will be match ups between 4.5/6 pointers. 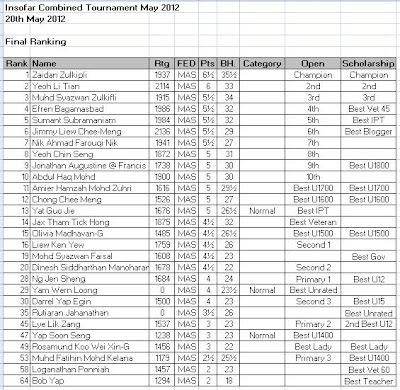 MSSWP Chess Championship for secondary school 2012 edition will end tomorrow on Friday, 11th May. Some players including Fikri have camped at Sekolah Aminuddin Baki for the whole week. Some others were only playing in the team event while some others have participated only in the individual event for three days. It is a new experience for GiLoCatur following very closely and being part of the championship. GiLoCatur salutes MSSWP for the fast update on the pairings, results and interim rankings on the net. GiLoCatur is very proud being the parent of Fikri because he has led and helped his school chess team making a history in MSSWP Chess. GiLoCatur prays to the mighty Allah for Fikri to be among the winners in the individual event. See you guys at the closing ceremony expected to begin at 11.00 am. 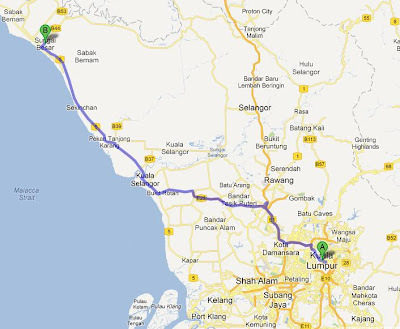 Are you staying in Shah Alam or area nearby? Do you want to get national rating? Or Do you want to improve your national rating? If the answer is YES, let's participate in the following chess tournament. 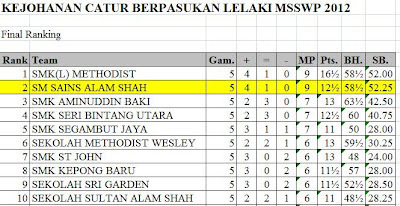 SM SAINS ALAM SHAH (ASiS) EMERGED 1st RUNNER UP IN 2012 MSSWP CHESS CHAMPIONSHIP! Several states have completed their MSS chess championship including Selangor where two of GiLoCatur's children had taken part. Both Anis and Fahim were victorious in the team events in their respective categories. Anis, GiLoCatur's only daughter, became champion in the P15 (Under 15 Girls) category representing Kuala Selangor district. Along with the Azman Hisham sisters - Nur Nabila and Nur Najiha and Siti Aishah Alimuddin, the Kuala Selangor P15 team recorded an outstanding 19 out of the total 20 game points. Anis and her team mates won all their five rounds. Meanwhile, her younger brother, Fahim, along with his two school mates - Afiq Mohd Jamil and Faqih Aminuddin, and Zulfikri Sulkifly teamed up for Petaling Perdana district to emerge as the champion in the L12 (Under 12 Boys) category. They managed to edge their rival team, Klang, which was also the favourite team. 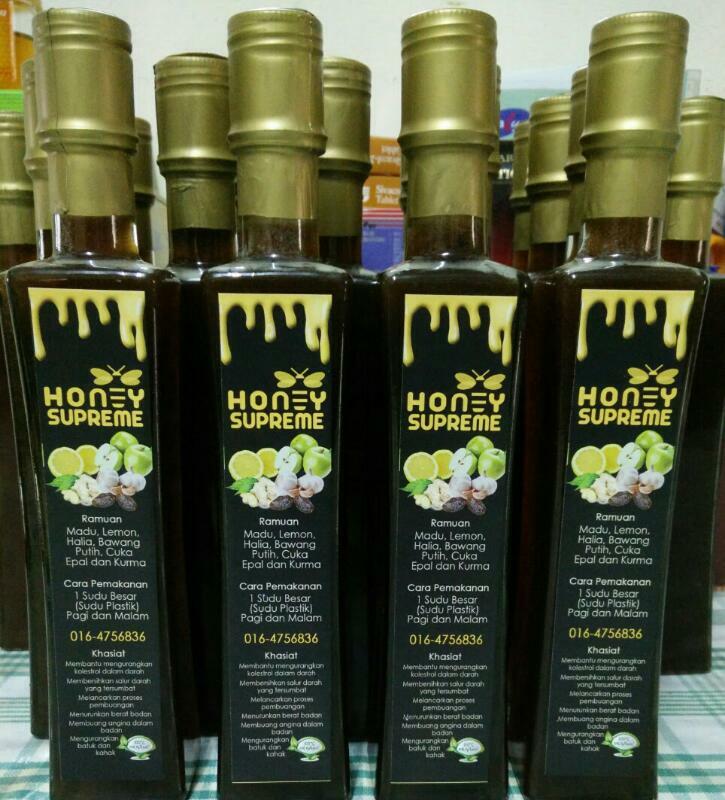 Wilayah Persekutuan or simply WP is having its MSS chess championship this week. Even though WP also has two events - team and individual like Selangor, but the format is different. 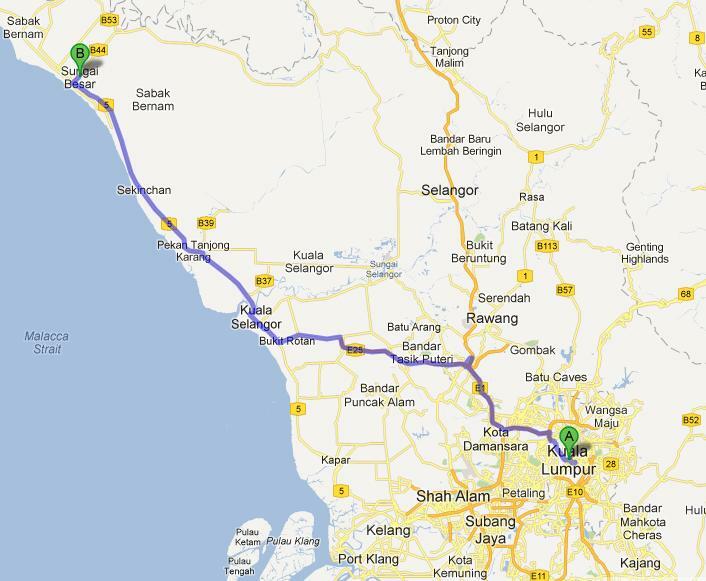 It is district for Selangor while it is zone for WP. 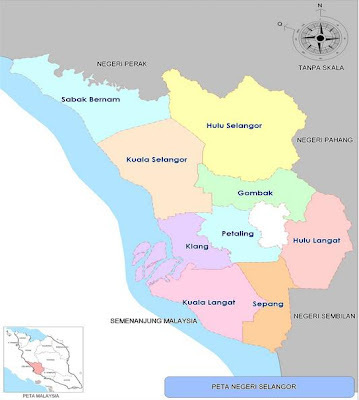 Selangor has 10 districts while WP has 5 zones. 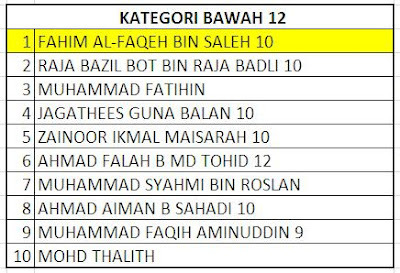 The teams competing in the MSS Selangor are selected not necessarily from same schools in a particular district. But the teams contesting in the MSS WP represent a particular school who tops their respective zones. It is the first time GiLoCatur attended the MSSWP chess championship because Fikri, GiLoCatur's eldest son, is schooling in Kuala Lumpur. 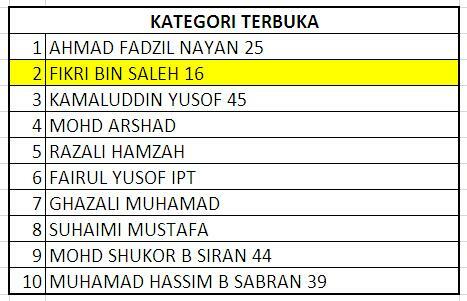 Fiki and his chess school team of SM Sains Alam Shah managed to be among the Top 6 (winners) in the Pudu Zone. It is a breakthrough for his school for making to the MSSWP chess championship for the first time in its history. Along with two 5 Formers and another 4 Former in his school chess team, Fikri emerged the first runner up. 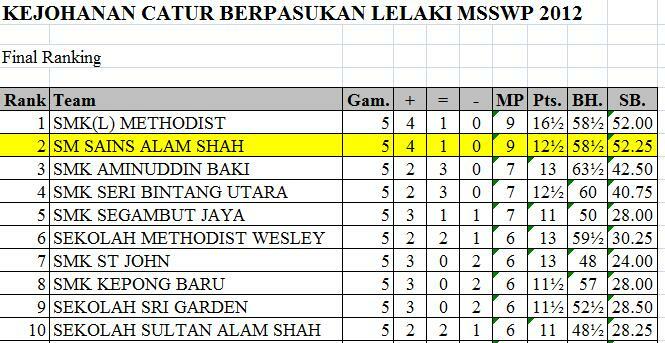 SM Sains Alam Shah chess team had won four rounds and drew one. It scored 9 Match Points. In the first round, Fikri's team drew with their Zone champion, SMK Seri Bintang Utara (SBU) which is one of the favourite teams in the championship especially to GiLoCatur. In Round 2, Fikri and his team mates fought hard to win against Sekolah Seri Cempaka of Bangsar Zone. In the third round, SM Sains Alam Shah managed to win over the Keramat Zone champion, SMK St John. The opponent team that Fikri and his ASiS team mates had to face in the fourth round is SMK Kepong Baru of Sentul Zone. Alhamdulillah, they won. GiLoCatur gave a motivational pep talk before Fikri and his team mates entered the tournament hall for the final round. GiLoCatur's heartbeat was pumping faster when ASiS third board player came out so early telling that he drew. 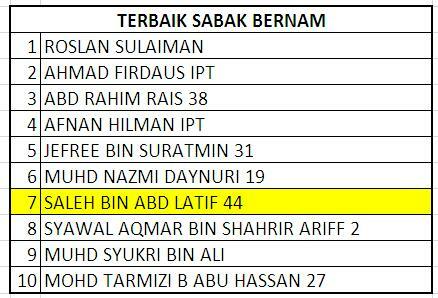 Actually, SM Sains Alam Shah was playing against SMK Seri Bintang Selatan (SBS) from the same zone in the final round. GiLoCatur was a bit worried and felt that the result might end up with 1.5 - 2.5 score favouring the opposing team. Then when the first two boards finished, the score was equal, 1.5 point each. So, it was up to the last board result. At last, Fikri and his team mates were smiling in joy when their team mate on the fourth board provided the very important and critical one point. It was their fourth wins. 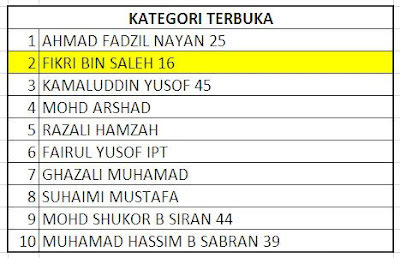 Bravo and kudos to the SM Sains Alam Shah 2012 chess team including its hard working manager that emerged as the first runner up in the MSSWP chess championship held at SMK Aminuddin Baki or popularly known as SAB. 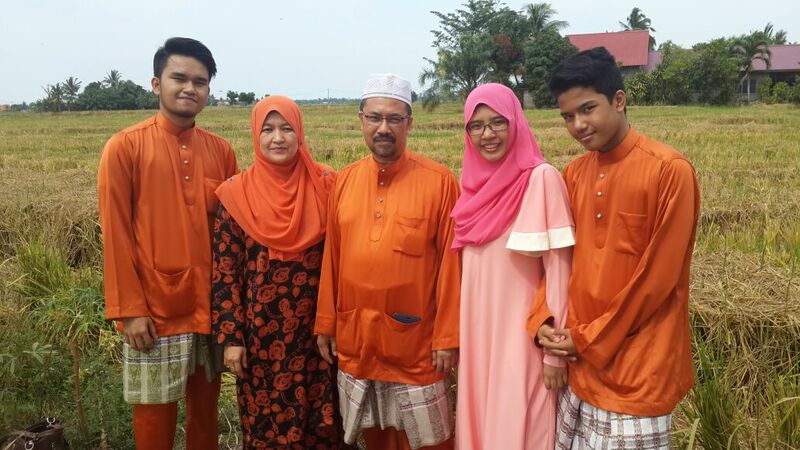 It is a very happy and proud moment for GiLoCatur as the father of Fikri who has led his team to his school glory. A history has been made on this day for SM Sains Alam Shah, Cheras Kuala Lumpur. KEEP IT ON!